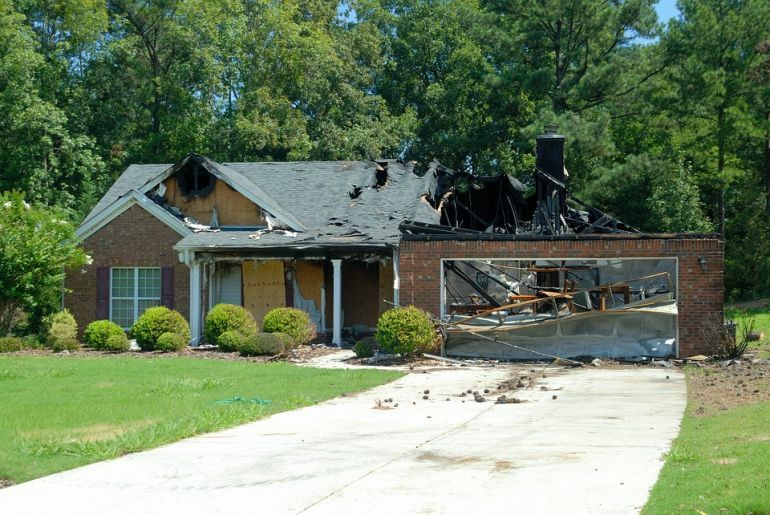 A fire can be devastating to a homeowners or business. Even a relatively small fire can cause a large amount of damage. Firefighting efforts can create additional water damage and flooding. Due to the extensive nature of the damage, the process of fire restoration can be very involved. Repairs must be completed quickly. If the fire and water damage is not properly cleaned up, the smoke and ash residue can cause damage, corrosion and even health problems. After a few weeks, the cost of clean-up increases as the building structure and furnishings can be permanently damaged by the acid left behind. It’s important to have trained technicians in fire and smoke damage restoration. H&H Environmental Construction and Consulting can repair and restore the damage caused by fire, smoke and water to get your home or business back to normal.We can assess the overall damage, provide water extraction, drying and dehumidifying to avoid mold growth, and eliminate smoke residue odors. We work quickly to mitigate damage on salvageable property, reducing the overall cost of the event. We can determine the full extent of the fire and smoke damage, including the impact of heat and residues. Treatment may include smoke and odor removal, sanitation and deodorization, duct and air vent cleaning. We can reverse much of the fire and smoke damage, making a traumatic event less unpleasant. Call us at 888-250-6653 to help restore your property.